So far this year, the rupee has weakened 7.36% against the US dollar. 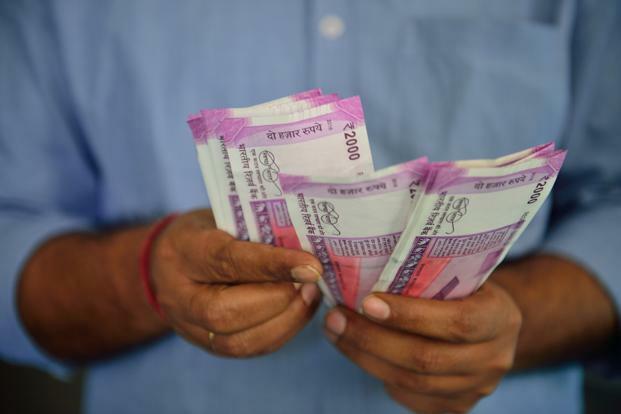 Mumbai: The Indian rupee on Wednesday strengthened marginally against US dollar after local equity markets gained for the fourth session. At 1.08 pm, the rupee was trading at 68.80 a dollar, up 0.13% from its previous close of 68.95. The currency opened at 68.97 a dollar and touched a high and a low of 68.78 and 68.98 respectively. The 10-year bond yield stood at 7.806%, from its Tuesday’s close of 7.783%. Bond yields and prices move in opposite directions. Benchmark Sensex Index rose 0.25% or 90.55 points to 36,915.65. Since January, it has gained 8.13%. So far this year, the rupee has weakened 7.36%, while foreign investors have sold $926.90 million and $5.99 billion in equity and debt markets, respectively. Asian currencies were trading mixed. China Renminbi was down 0.16%, Singapore dollar 0.09%, Japanese yen 0.08%, Thai Baht 0.05%. However, South Korean won was up 0.66%, Taiwan dollar 0.17%, Indonesian rupiah 0.14%, Malaysian ringgit 0.05%. The dollar index, which measures the US currency’s strength against major currencies, was trading at 94.637, up 0.03% from its previous close of 94.613.